The Xiaomi Mi 6, Redmi Note 4X and Mi 5X will be the first devices to run latest MIUI 9 based Android 7.0 Nougat operating system. The company is reportedly planning to update a total of 17 devices. The Xiaomi Mi 6 and Redmi Note 4X will be the first smartphones to receive the MIUI 9 update. The smartphones will get the new version of MIUI on August 11. The Chinese smartphone maker had announced MIUI 9 alongside the Mi 5X last week. While there have been multiple rumours surrounding the list of Xiaomi devices getting the update, a new report by MyDrivers has detailed a look at Xiaomi's planned rollout. According to the report, Xiaomi plans to upgrade a total of 17 devices to latest MIUI 9, with the Xiaomi Mi 6, Mi 5X and Redmi Note 4X being the first to get the update on August 11. The second wave of the update on August 25 will see 12 more smartphones getting the update. 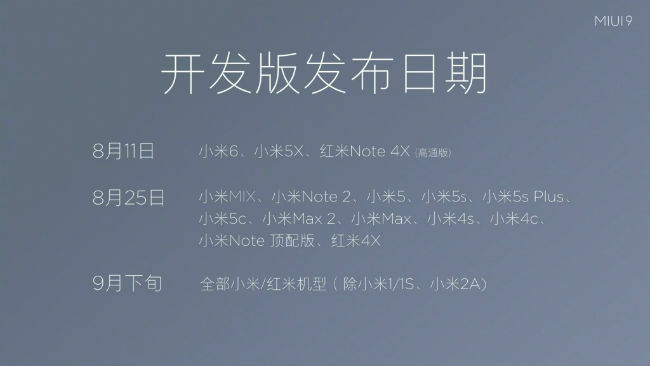 This includes the Xiaomi Mi Mix, Mi Note 2, Mi 5, Mi 5s, Mi 5s Plus, Mi 5c, Mi Max 2, Mi Max, Mi 4s, Mi Note and Mi 4X. Xiaomi is also planning a third wave for the MIUI 9 update sometime in September. The update will be rolled out to the company's entry level devices Redmi 2A and Redmi 1/1S, announced a few years back. The company seems to be trying to address a broad range of its smartphones that are currently in use. Xiaomi's MIUI 9 is based on Android 7.0 Nougat and offers support for split-screen multitasking and improved battery life with Doze on the go. The update also brings enhancements like Image Search, Smart app launcher and Smart Assistant for the Chinese market. Xiaomi plans to bring these features to other markets as well. 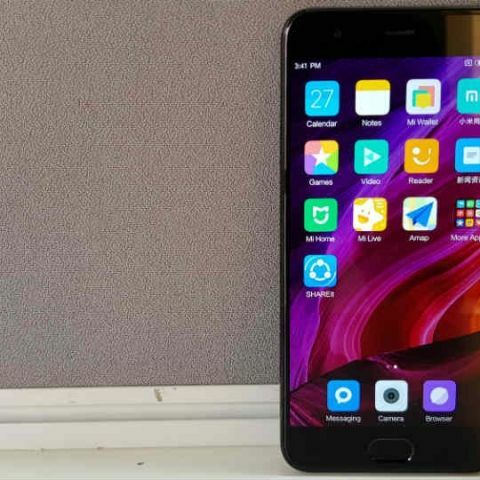 Indian e-commerce giant Flipkart confirmed last month that Xiaomi's best-selling Redmi Note 4 will be upgraded to MIUI 9 in the coming months. The company is also expected to update the Redmi 4 and Redmi 4A to MIUI 9 here. 6 11 27 ,8 6 16 , 15 5 x x=?